Want to ditch all that garbage you’ve been sending to the landfills? That’s what New Yorker Lauren Singer, 23, took on three years ago. Today she lives a trash free life. She has even started a company out of this green lifestyle choice. This environmentally-savvy woman was an Environmental Studies major at NYU when a classmate’s habit of bringing lunches all wrapped in disposable packing began to irritate her. Seeing the pile of garbage discarded by the student became a major source of frustration— one that only got worse once Singer realized how much trash she herself was producing. She decided to cut it all out. She doesn’t even have a garbage bin anymore. It wasn’t easy, but eliminating disposables involved making her own packaged products like cleaning products and toothpaste. She brings her own bags and jars out and says no to the inevitable garbage-bound things like cocktail straws and receipts. And she buys all of her clothes second hand. Then there was a huge waste eliminator: downsizing. “I downsized significantly by selling, donating, or giving away superfluous things in my life, such as all but one of my six identical spatulas, 10 pairs of jeans that I hadn’t worn since high school, and a trillion decorative items that had no significance to me at all,” she writes. Since she’s adopted this lifestyle, she’s blogged about it at Trash is for Tossers. 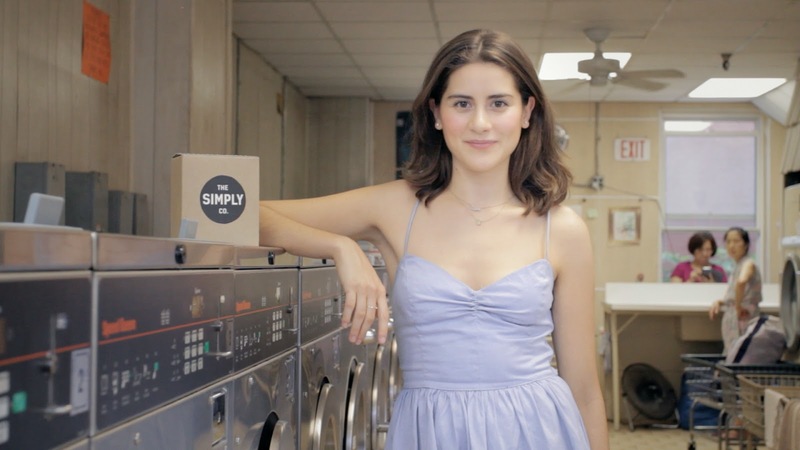 She’s even managed to turn it into a new company: The Simply Co. She started the company after quitting her job as sustainability manager and the NYC Department of Environmental Protection. The Simply Co. is starting out by selling the products that readers of her blog wanted, but don’t have the time to make themselves. That way, they can take on this lifestyle, even if they are too busy to do the grunt work. Laundry detergent is a main product so far. Singer’s detergent comes in lavender or unscented and causes zero harm to the environment. They also sell non-disposable scoops and dryer balls made of sheep’s wool. Singer’s story reminds us that with small adjustments to our lifestyle, we can make a big impact on the environment that sustains our life.